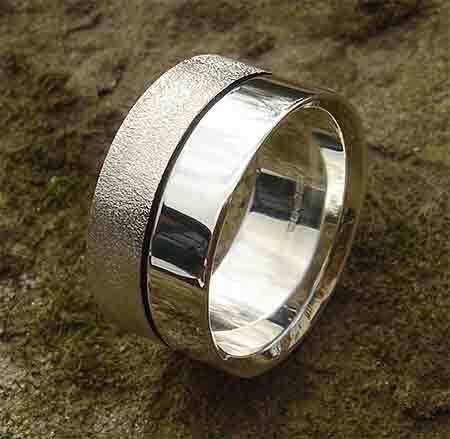 Half Polished Half Matt Silver Wedding Ring : LOVE2HAVE in the UK! 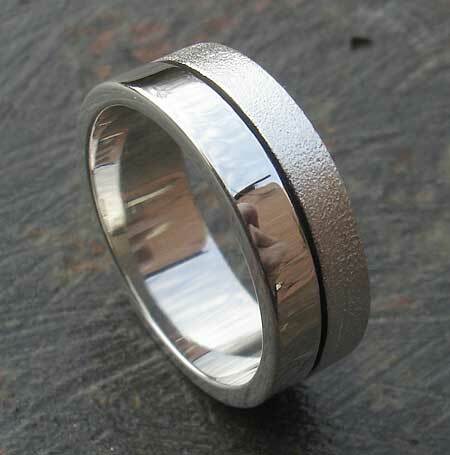 This UK made silver wedding ring features two finishes that run around the outer circumference rather than across as featured on the other two-tone silver wedding rings in this section. 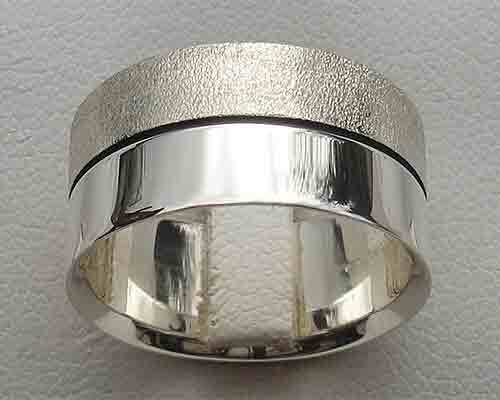 It is a classic flat profile sterling silver ring with a half polished half matt finish. The matte finish has a frosted texture. The 50/50 split as pictured comes divided by a black etched line. It also features an inward angled edge and is available in three widths - 6mm, 8mm and 10mm.